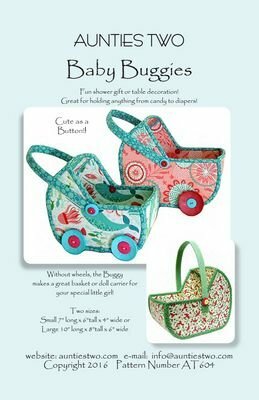 Baby Buggy in two sizes and cute as a button. Great for a shower centerpiece. Without wheels, makes for a cute basket or doll carrier.